A native to Arizona. 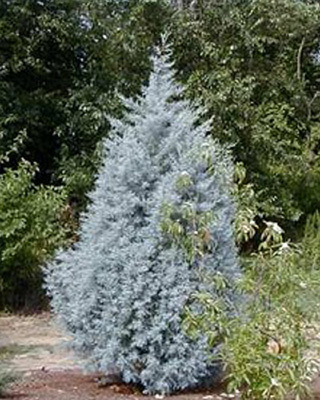 'Blue Ice' grows in a compact columnar form with a rich silver-blue / powdery blue color. Exfoliating bark is reddish brown. Tough, low maintenance tree that is great for a dramatic focal point or planted in mass for wind and sound breaks. It has a moderate to fast growth rate.